If you were ever wondering what is the cost of the Nikon D800/D800E cameras to a dealer in the US, this price list will show you that the D800 costs $2,699.96 and the D800E costs $2,969.96. As usual, the margin on the accessories is much higher - aprox. 40%. 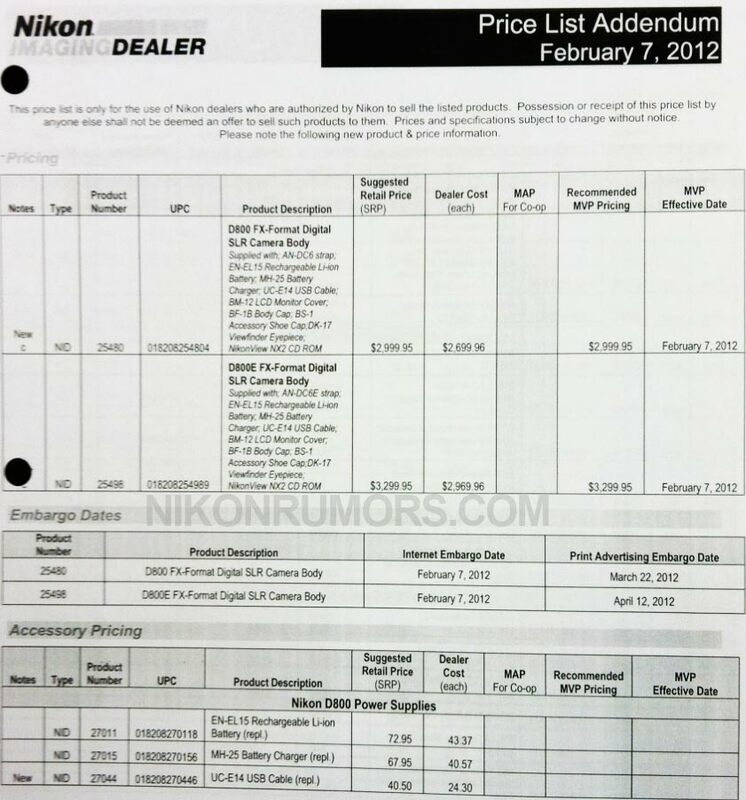 With the new Nikon pricing policy, don't expect to see any discounts on the D800/D800E/D4 cameras.